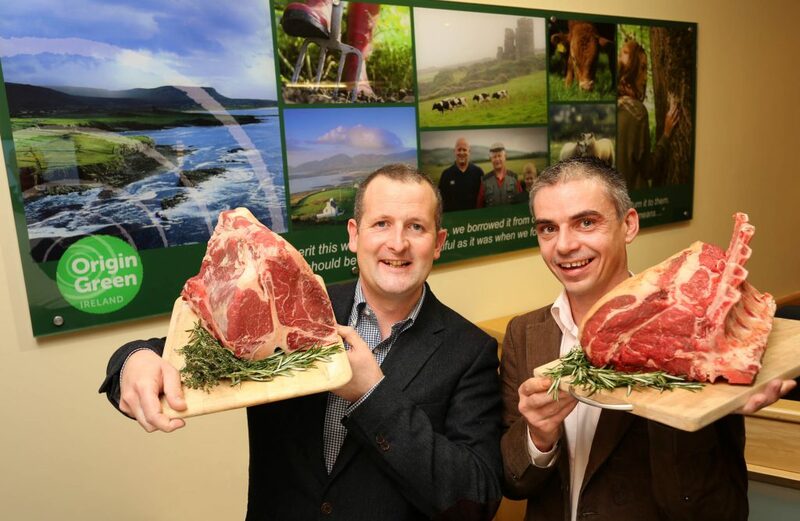 Pictured are Niall Browne along with Charlie Coakley, Environment Sustainability Manager at Dawn Meats. Dawn Meats has been awarded 10 stars at the prestigious Great Taste Awards, organised by the Guild of Fine Food in the UK. 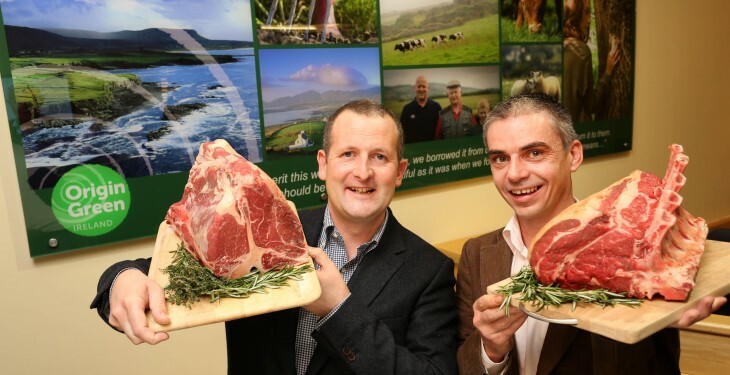 The Waterford-based meat supplier’s awards include an elite 3 star award for its Nature’s Meadow French Dressed Lamb Rack, and the 2 star award for its Tesco Ireland Finest Lamb Loin Chops, Nature’s Meadow Best of Beef Rib Roast and Black Angus Tomahawk Steak. Judging the 3 star Nature’s Meadow French Dressed Lamb Rack, the panel praised its succulence and “long lasting sweetness and light lamb flavours”, calling it a “beautifully flavoured tender lamb with fat to die for”. In judging Dawn Meat’s Nature’s Meadow Best of Beef Rib Roast, the panel labelled it “a stunning piece of beef”, with “delicious looking golden crispy crust, juicy and tender, a delight to carve.” The panel also referenced the “great grassy beefiness” of the product, acknowledging the nutritional benefits of premium grass-fed Irish beef. Dawn Meats’ 3 star award-winning product has also been shortlisted in the Top 50 Foods, from which the celebrated Golden Fork overall award will be made on Monday 8th September at the Great Taste dinner. Over 350 guests will be in attendance on the night, including top chefs, food writers, buyers, retailers and food journalists.